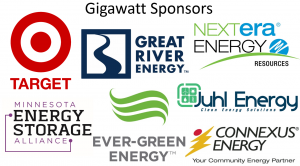 The University of Minnesota’s Energy Transition Lab, in partnership with the Minnesota Energy Storage Alliance, hosted the Midwest Energy Storage Summit on Friday, September 15, 2017, at the University of Minnesota in Minneapolis. The Summit included over 300 participants from throughout the Midwest representing energy leaders from industry, the public sector, academia and non-profit sectors. Click here for the Summit agenda, videos and slide decks. Click here to download the 2nd edition of Energy Storage 101: A Quick-Reference Handbook. Bios of our speakers can be found here. Our energy systems are undergoing a significant transition, and energy storage is linchpin for a more flexible, resilient, reliable, efficient, and low carbon grid. Whether considering grid or distribution scale or customer applications, furthering deployment of storage in the Midwest will require an integrated, collaborative, multi-disciplinary approach, as well as a deep understanding of technology advancements and the market and regulatory environments. Capitalizing on networking and collaboration opportunities. 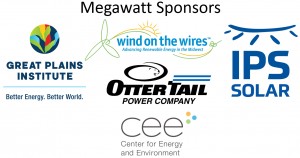 Become a Midwest Energy Storage Summit sponsor today!